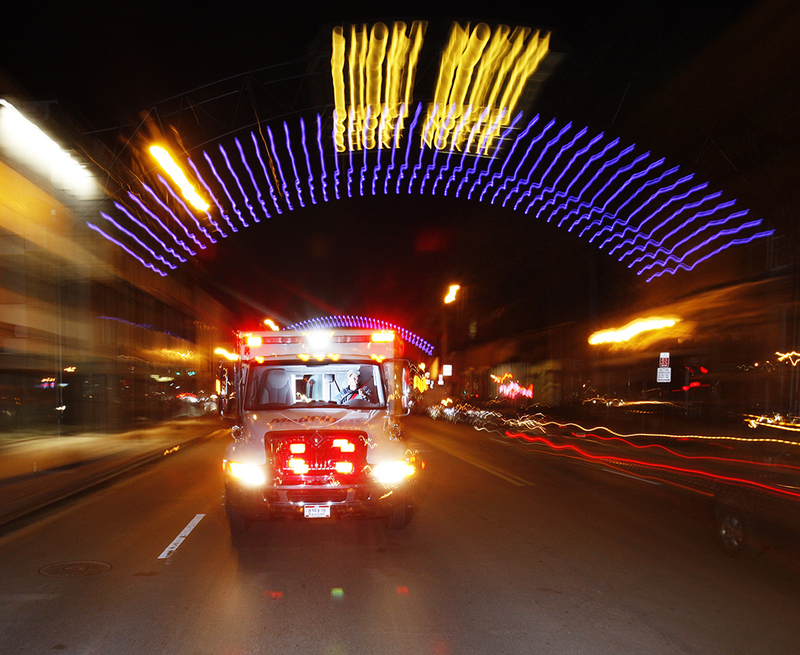 Ready to serve night or day, rain or shine, a MedFlight Mobile Intensive Care Unit (MICU), pictured above in Columbus’s Short North district, exemplifies the theme of the 2010 MedFlight calendar – Patients First. 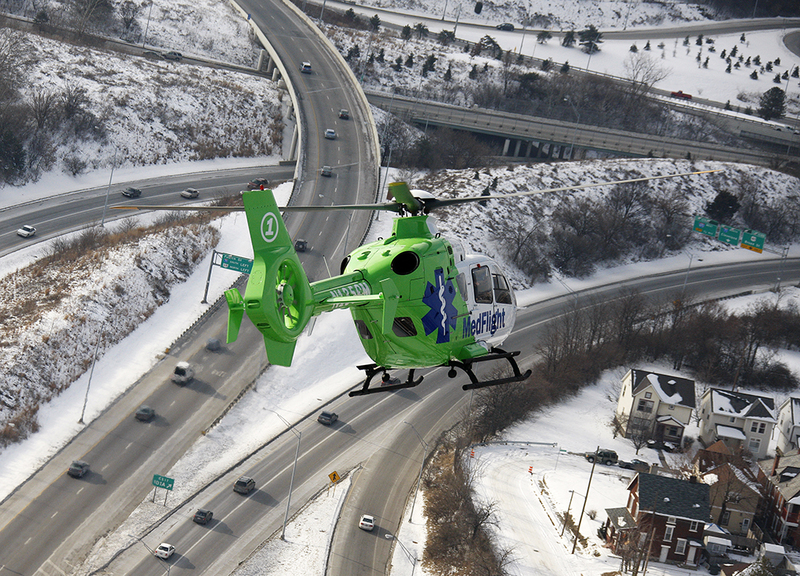 As a not-for-profit company, MedFlight maintains a fleet of eight helicopters and four MICUs and covers 10 counties within Ohio, providing transport for the critically ill and injured. 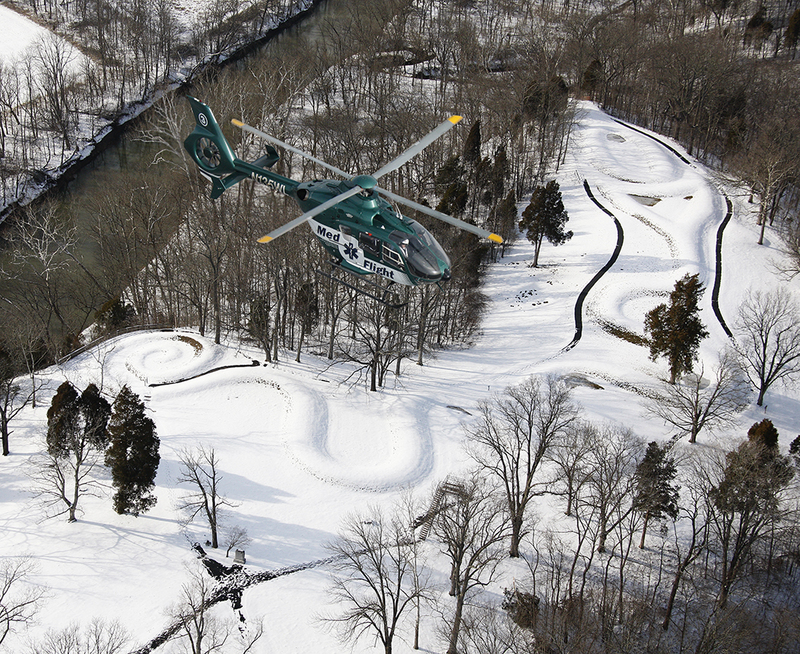 Each year photographing for MedFlight’s calendar brings it own unique challenges, whether it be angling a helicopter just right over snow covered Serpent Mound or being mindful of safety issues like the powerful effect of prop wash. In addition to transporting over 6,000 patients last year, MedFlight made over 250 community visits, including the Prom Promise drug and alcohol accident simulation event to help educate teens about the perils of DWI. 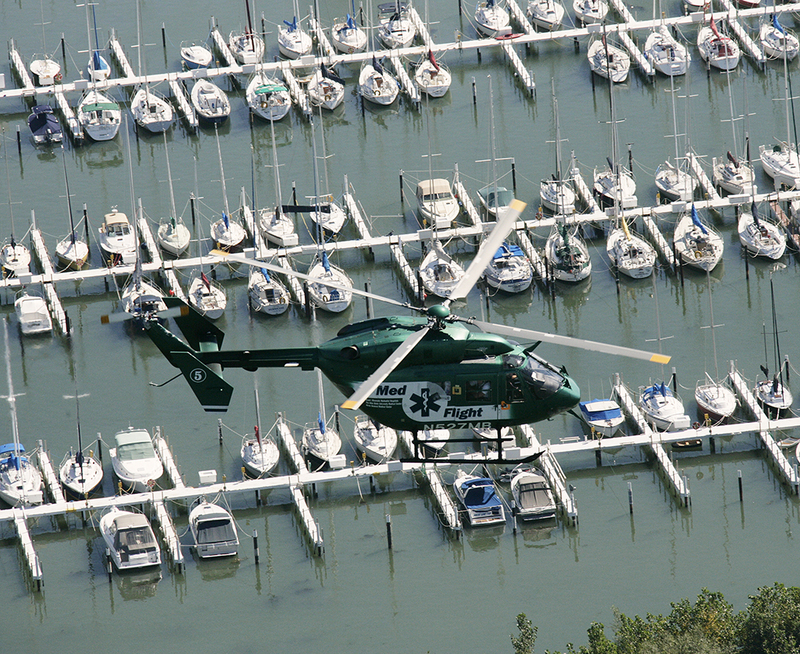 Here’s to the pilots, drivers and medical crews who have made an impact in the lives of many, as well as the pilots who make these aerial photographs possible. Photography provided by Larry Hamill Photography.